As Vice President of Revenue Cycle Innovation and a sought-after speaker, Suzanne engages health system audiences with forward-thinking concepts, strategies and trends in revenue cycle management and patient financial experience. As a professionally trained speaker, her messages will inspire you to transform your health care and your organization. 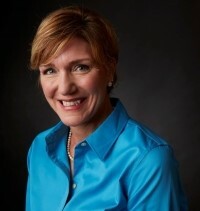 Suzanne is a frequent speaker within the industry, HFMA chapters, healthcare providers, state hospital associations and other professional organizations. In her role at Avadyne Health, she analyzes and advises hospitals in transforming their revenue cycle, using innovative processes, software and outsources services, to achieve positive financial outcomes and improvements in patient financial experience. Prior to joining Avadyne Health, one of the 10 largest revenue cycle management firms in the country specializing in workflow software and revenue cycle outsource services, Suzanne was HFMA’s Director of Revenue Cycle. She advised health systems on revenue cycle performance improvement and was the MAP product line expert. In addition, Suzanne has held other leadership and revenue cycle consulting roles in the Chicago area. She has a bachelor’s degree in organizational management from Concordia College and is a past president of the 1st Illinois Chapter of HFMA. Before patients even walk through your doors, they have expectations. Those expectations cover everything from their treatment and recovery to what your facility should look like. One expectation that too often gets overlooked is how, exactly their financial experience with you will play out. Consider this — patients are conditioned from other industries to know their financial responsibilities up front (HFMA even advises them to be proactive in gathering this information). This means that if you want to foster a positive financial relationship and accelerate your cash flows, you must communicate in a timely manner with your patients.